A rain chain and basin are instant upgrades to a typical gutter downspout that direct rainwater to move gracefully down the channels. This copper basin collects the flowing rain water and is based on the traditional Japanese design. 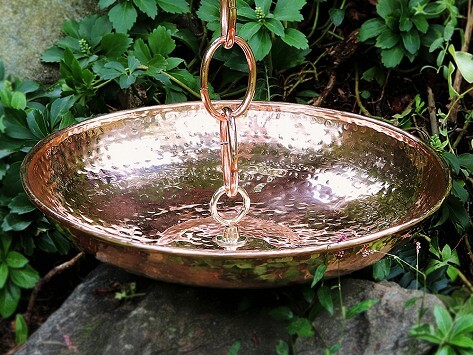 Handcrafted in India entirely from copper and guaranteed to last a lifetime. Dimensions: 16.5" x 4" x 4"